By Professor D. Grover the XIIIth. Greetings and salutations, friends. For those of seeing my name and wondering who the hell I am, allow to to briefly introduce myself. I am Professor D. Grover the XIIIth, and you may remember me from such obscure blogs as The Number Of The Blog, Oculus Infernus, and No Clean Singing. If any of those sites rings a bell, excellent. Greetings and salutations, friends. 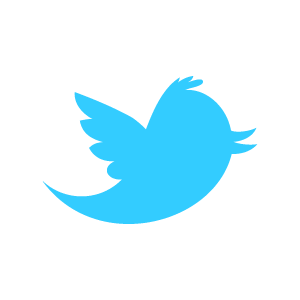 For those of seeing my name and wondering who the hell I am, allow to to briefly introduce myself. I am Professor D. Grover the XIIIth, and you may remember me from such obscure blogs as The Number Of The Blog, Oculus Infernus, and No Clean Singing. If any of those sites rings a bell, excellent. If not, that is unfortunate, but hopefully you will take the time to consume my mad scribblings anyway. Now, to the point at hand. I have been recruited for this article because I am, in short, a massive Thy Catafalque fanboy. I have been known to vocally proclaim my entirely platonic love for Thy Catafalque mainman and all-around musical genius Tamás Kátai. Thy Catafalque, for the unfamiliar, is a Hungarian avant-garde black metal band, although labeling it as such does the music a disservice, as the project’s music is so uniquely expansive and varied that a simple label can do little to truly describe it. However, as a starting point, such a label is the nearest touchstone that I can provide, and so it shall have to do for the moment. The band’s roots are fairly simple, starting as a collaboration between the extremely prolific Kátai (who at the band’s inception was also releasing music under the monikers of Darklight, Towards Rusted Soil, Gort, and Gire) and guitarist János Juhász. Thy Catafalque’s initial material was decidedly more black metal than avant-garde, and in truth I haven’t listened to those albums a great deal, but even then they bore the imprints of Kátai’s unique sensibilities, which I will cover momentarily. As of the last Thy Catafalque album, the brilliant Rengeteg, Kátai had taken over as the band’s sole member, but the change did not affect the band’s sound much, which as I will discuss is a very, very good thing. Thy Catafalque have a new album, titled Sgùrr, coming soon via Season Of Mist, and as that time approaches there has been a flurry of activity, with re-releases of the entire Thy Catafalque catalog on vinyl and CD, including the most recent (and sold out) compilation of The Early Works, which encompass the first three Thy Catafalque releases into a single 3-disc package, and the name-your-price Bandcamp release of the lone full-length Gire album, a Hungarian death metal project featuring Kátai’s synth-work and drum programming that is most likely the closest thing in sound to Thy Catafalque that I have managed to find up to this point. Most importantly, Thy Catafalque’s two most important releases have seen remasters and have also been released on Bandcamp as name-your-price downloads, and it is these releases I am here to discuss. 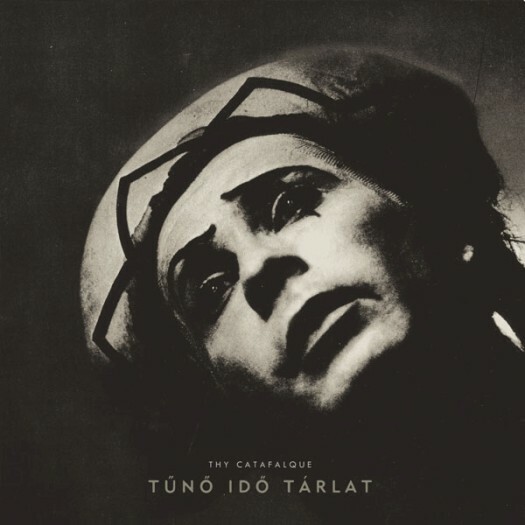 The first of these releases is 2004’s Tűnő idő tárlat (translated, An Exhibition of Vanishing Time), an album as daring in composition as it is brilliant. It takes true testicular fortitude to start your album with two 9+ minute tracks bookending a massive 18+ minute epic, but the opening journey of "Csillagkohó", "Neath Waters (Minden Vízbe Mártott Test)", and "Bolygó, bolyongó" bear testament to just how insanely great this album is. Across these three tracks, the listener is dragged through searing black metal, pounding industrial, trancelike electro, and dreamlike ambient passages with little regard for one’s sanity. It’s an exhausting, exhilarating way to start an album, and afterward there are still five more tracks to go. It’s important to note at this point that while I can attempt to describe exactly what you will hear on these albums, I will fail miserably at doing so. That much is an absolute certainty. You have to hear the tracks for themselves to truly understand what I am attempting to convey. Fortunately, technology being what it is, you can listen to the album via the embedded widget as you read along! I cannot recommend highly enough that you do this, because it is the only true way for you to experience such an intricately nuanced album. The remaining five tracks are equally dynamic, from the dirgelike riffing of "Héja-nász az avaron" and the ethereal female vocals (provided by session vocalist Nikoletta Gerzanits) of "Zápor" to the thumping drums and blistering riffs of "Az ősanya szól ivadékaihoz" and the stark soundscape denouement of "Varjak fekszenek". The most intriguing thing to my ear with this album is the mix of disparate musical styles, and not only that they are present on the same album and within the same songs, but often that they are present at the same time. This is noteworthy, because often with avant-garde and experimental music you will see bands switching between styles rather than combining them. Often you will hear ambient passages and clean instrumentation underlaid by a heavy electronic beat (the drums are entirely programmed and very distinct, an element of the Thy Catafalque sound that has existed since the beginning), or heavy riffs interwoven with melodic synth lines or the aforementioned clean instrumentation (see the latter half of "Az ősanya szól ivadékaihoz", where the riffs give way momentarily for a mix of piano and violin before joining right back in, until the whole thing is swept away by a pulsing, building electronic section). It is, to be honest, unlike anything I have ever heard. Actually, that’s not entirely accurate, because we also have Róka hasa rádió (translated, Fox Belly Radio), the 2009 followup that matches Tűnő idő tárlat for sheer brilliance and audacity. Rather like its predecessor, it challenges the listener immediately by starting with an 11-minute track and then following that up with a 19-minute epic. Album opener "Szervetlen" serves notice that you are in for another journey, featuring some insanely heavy guitars and programmed percussion, interspersed with clean vocals (provided by Woodland Choir/Quadrivium singer Attila Bakos, who would also lend his voice to Rengeteg) and Kátai’s distinctive keyboards. The second track, the aforementioned 19-minute epic "Molekuláris gépezetek", is truly special. 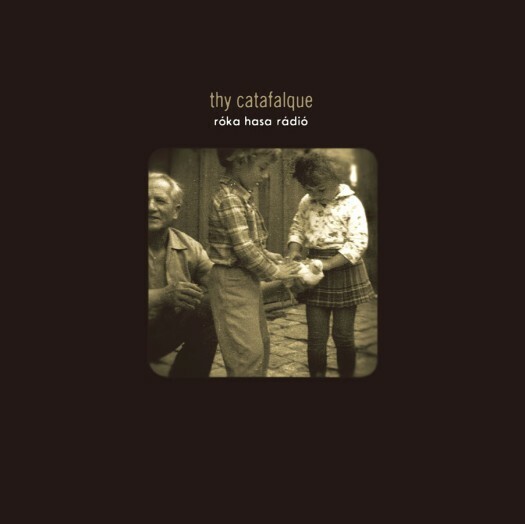 It is the track that first made Thy Catafalque’s music truly click for me, and I cannot say enough about it. It starts with sheer blackened fury, all roiling guitars, hazy tortured vocals, pounding drums, held together by a pervasive synth melody. It quickly scales back, incorporating Bakos back into the mix and changing up the drums, and then around the 6 minute mark it takes an absolute left turn, dropping almost all instrumentation except for a shuffling drumbeat, some clean guitar, and a spare synth melody. It then changes up the drumbeat ever so slightly and adds, of all things, a saxophone melody and the beautiful clean vocals of Ágnes Tóth (who also would go on to contribute on Rengeteg). Eventually, it strips everything down to just the synths for a bit before swinging back into the drums and Tóth’s vocals. Then, when the listener has been lulled into a false sense of security around 15 minutes in, the song comes blasting back. It is an absolutely insane way to write a song, and by all rights it shouldn’t work, but it simply does. Again, it is an absolutely exhausting and exhilarating way to start an album. From that point, Kátai plays it a bit more traditional, with the remaining seven tracks ranging from 4-6 minutes, although the music is no less weird and varied. Bakos and Tóth play important roles, with Bakos assuming the lead vocals on "Köd utánam" and "Esőlámpás", both of which combine his cleans with driving guitar riffs and the sort of utterly unforgettable synth melodies that seems to be Kátai’s specialty. "Űrhajók makón", on the other hand, gives Tóth free reign over yet another beautiful keyboard melody. The synth programming actually takes more precedent on Róka hasa rádió, playing to the album’s concept (as described by Kátai, “revolving, rotating movements of past and future, colours, sounds, long lost scents by a strange transmission from a timeless radio”), although Juhász’ guitar riffs play their own essential role, and Kátai’s bandmates in Gire, Balázs Hermann and Zoltán Kónya, provide additional bass and guitars respectively. If anything, Róka hasa rádió is even more adventurous and experimental than its predecessor, although both albums are utterly brilliant and unlike anything else out there. I would be remiss in not at least mentioning Rengeteg, the 2011 followup to Róka hasa rádió released through Season Of Mist. Rengeteg found Kátai continuing the project as a solo act, upping the aggression ever so slightly and reining in things a bit (the longest track here is a mere 14 minutes and comes in the album’s midsection), but make no mistake, it is still most definitely a Thy Catafalque album and retains everything that makes this band special. The title of this album derives from Scottish Gaelic and means 'the top of a mountain'. Yet most of the songs are equally about water, mountains, their interrelationship and the symbols attached to them - inspired by the Scottish Highlands and weird enough the Hungarian Lowlands. There are not many vocal lines at all, but when there occur, they are not pleasant. Compare to previous albums this music is mostly unfriendly, bristling and cold compared to the previous albums. I guess everything is more metal this time. At this time, there is a single full track available for streaming, the drums-guitar-violin instrumental "Alföldi Kozmosz", and an ambient minute-and-a-half teaser on YouTube previewing an unspecified track. Both serve only to further heighten my need to hear this album. In the meantime, well, at least I have a couple of classics to occupy my time. Any suggestions as to which album to start off with as an introduction? Kinda sounds like Tűnő idő tárlat might be the most up my alley, but I'll be sure to check out Sgùrr. I'm glad you enjoyed the writeup! I would recommend starting at Tűnő idő tárlat and moving forward from there, but know that there really is no wrong way to approach this undertaking, and the beauty of being able to stream them on Bandcamp is that you are able to check them all out at your own pace! Pretty amazing stuff. It is going to take some time to absorb. Thanks for the post.